You might have presumed your NetSuite instance needed minimal support, but in order for your organization to thrive with your NetSuite ERP system, you need to make sure you have the right strategy, resources, and support plan in place. 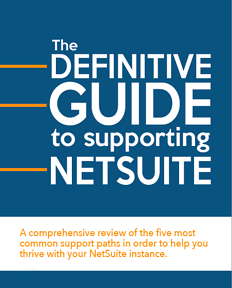 Getting the most out of your NetSuite investment. Download your own copy of the guide today!